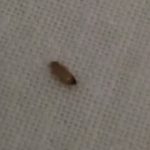 This is definitely a carpet beetle larva. 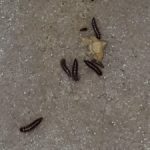 To eliminate carpet beetle larvae from her home, our reader will have to follow a few steps. First, she should remove the mattress from her home immediately since it seems to be the primary food source for the larvae. She should have it professionally cleaned before bringing it back into her home. She can also try to sprinkle the inside of it with diatomaceous earth (D.E. for short). D.E. is a powder-like substance made of the fossilized remains of diatoms. It kills bugs upon ingestion, but it is harmless for mammals to eat. 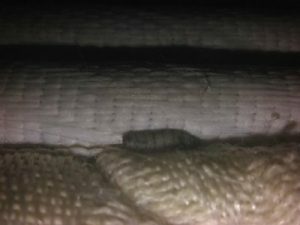 After dealing with the mattress, our reader will need to investigate the area around her bed for more carpet beetle larvae. 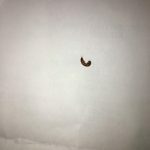 Anything that shows evidence of the larvae should be removed from her home and professionally cleaned or disposed of. 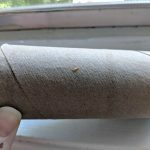 This will guarantee that there are no more larvae or eggs hiding in her clothes or furniture. Finally, she will need to start an intense cleaning regime to get rid of any remaining larvae and eggs, and to get rid of dust and small particles which could serve as food sources for the larvae. 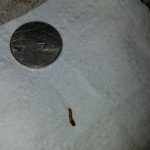 She will need to vacuum, sweep, dust, and do laundry daily until her home is free of carpet beetle larvae. 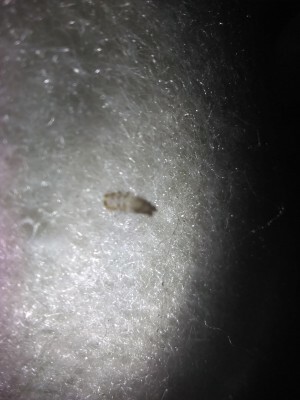 To conclude, a reader discovered carpet beetle larvae in her mattress. 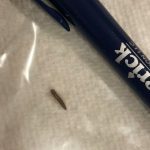 Unfortunately, she will need to dedicate several hours to cleaning in order to say goodbye to these pests. On the bright side, they are harmless even if their presence is annoying. A reader discovered carpet beetle larvae in her mattress. 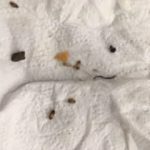 Unfortunately, she will need to dedicate several hours to cleaning in order to say goodbye to these pests. On the bright side, they are harmless even if their presence is annoying. 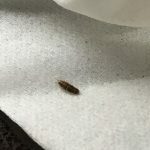 Is Reader Dealing With Carpet Beetle Larvae Infestation?